Here are the numbers for all of the Tampa courtrooms (broken down by division number), and then underneath, I’ve included my case rexults. Since most of the clients I help have never been arrested for DUI before, I’ve included demails on my different outcomes for first time DUI cases in that judge’s courtroom, depending on whether you took a breath test, whether you had a breath level over .150, or if you refused to take the breath test. Always keep in mind, these results aren’t any type of a guarantee. Every case is different, so it doesn’t matter if I’ve won the last 100 cases in a row, it doesn’t guarantee that I will win the next one. After you compare my results to others, I’d be happy to discuss the potential issues in your case. Once I have a better idea of what potential defenses may exist in your DUI case, we’ll be able to intelligently discuss the strengths and weaknesses of your case. 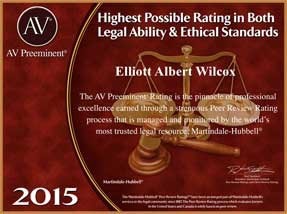 Does hiring a private DUI attorney make a difference? Yes, it does. According to the statistics obtained from MyCourtCase and the Hillsborough County Clerk of Court website, people who hired a private DUI Lawyer had statistically significantly better outcomes than those who didn’t. Overall, 86.25% of the people I helped were found able to avoid pleading guilty to the original DUI charge. Everyone else got their charges reduced or dropped. Keep in mind that not everyone completely avoided a DUI… Some of those cases involved wins like helping a driver with a BAC more than 4x the legal limit (.379 !!!) get reduced to a DUI with a breath level below .15, or helping people with 2nd, 3rd, 4th (and even 6th!) 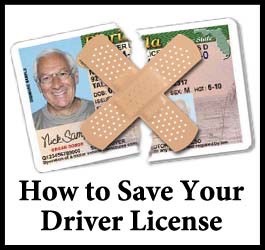 time DUI offenses get resolved to the bare-bones sanctions for a first-time DUI. My absolute best results were with cases where drivers refused to take the breath test – out of hundreds of cases, 70.75% Of the people I helped were able to avoid a DUI conviction. · Toughest cases – Breath tests over .150: The good news is that only 5.75% of these cases ended up pleading to DUI’s with a breath level over .15, but it’s much more difficult to get them dropped to Reckless Driving or get them dismissed… only 14.94% ended up avoiding a DUI. (Oh, just as an aside, in case you’re curious how long a DUI cases takes to resolve, the average length of my cases was 191 days, or a little bit more than 6 month). Here’s the breakdown on conviction rates by division. Keep in mind that there has been some turnover, so the judges in several of these courtrooms have changed and the results may not be the same in the future. What percentage of people ended up with a DUI conviction?